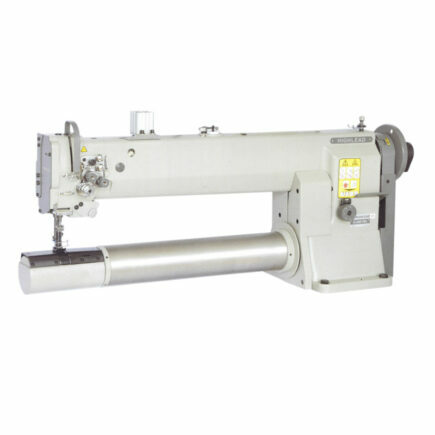 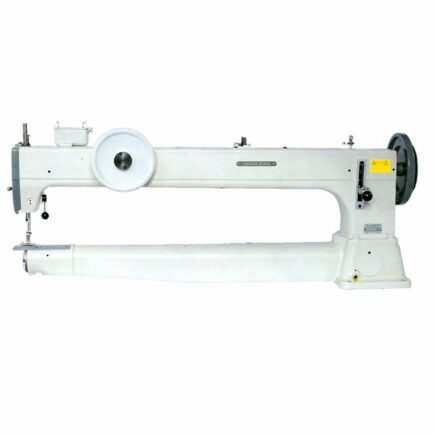 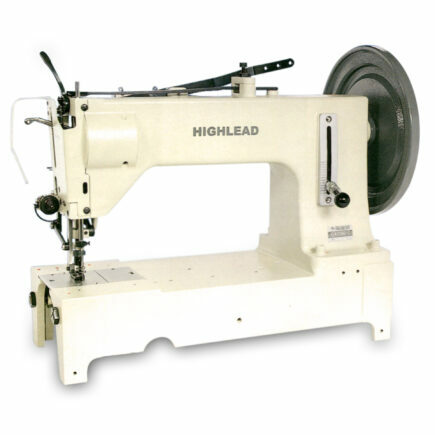 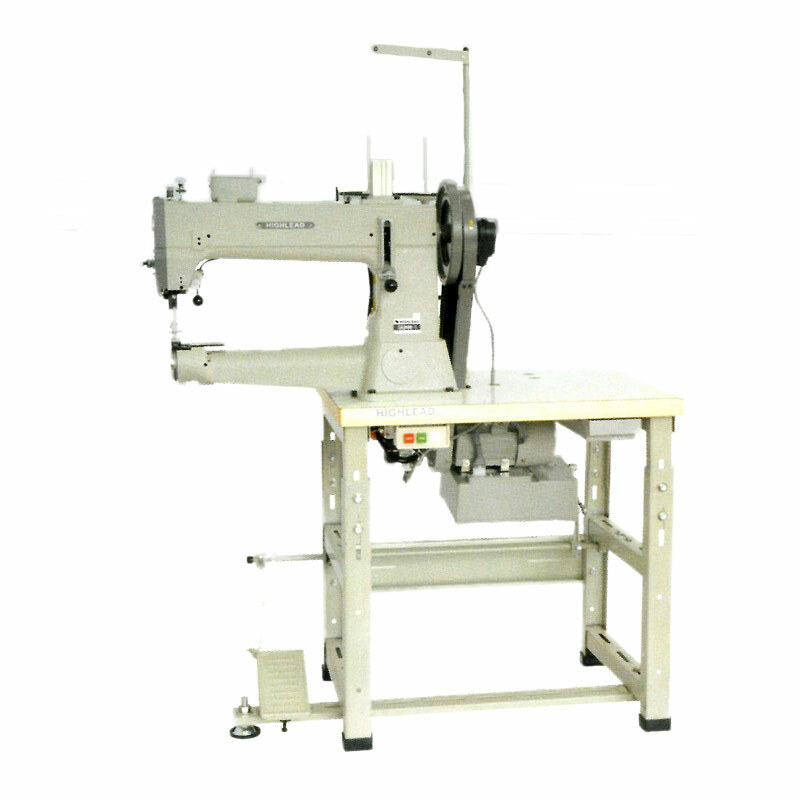 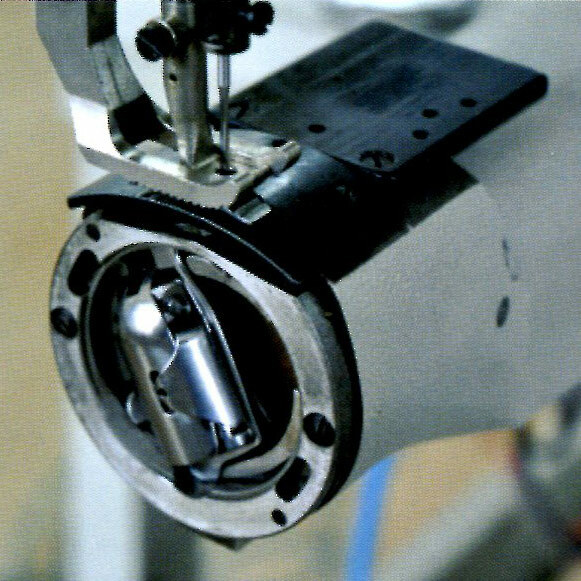 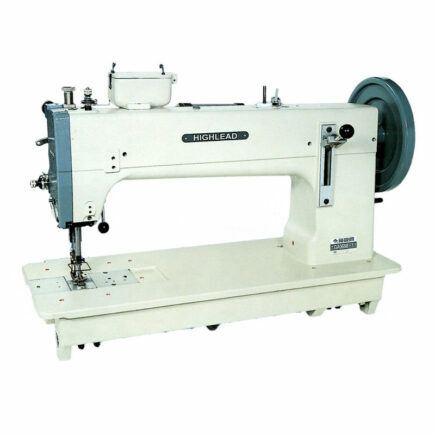 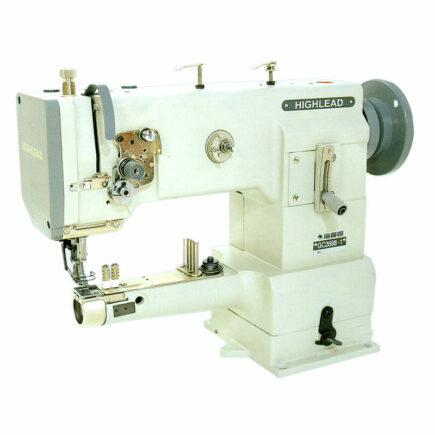 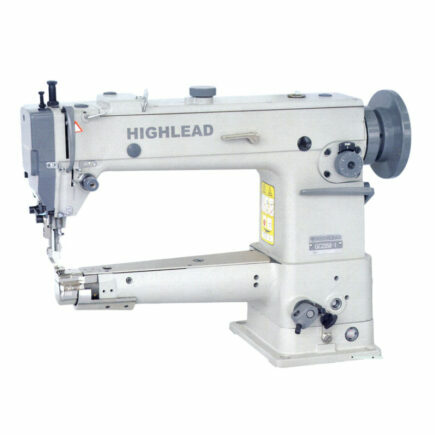 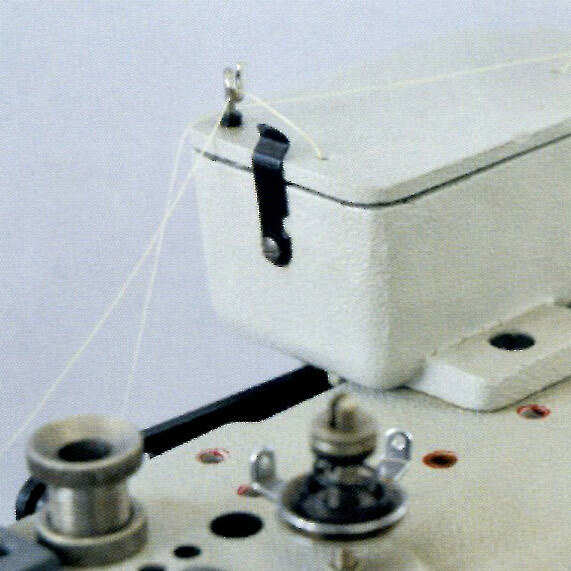 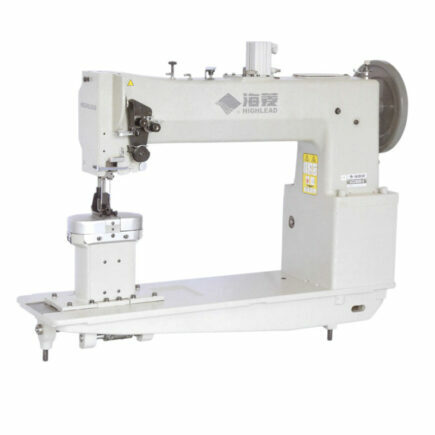 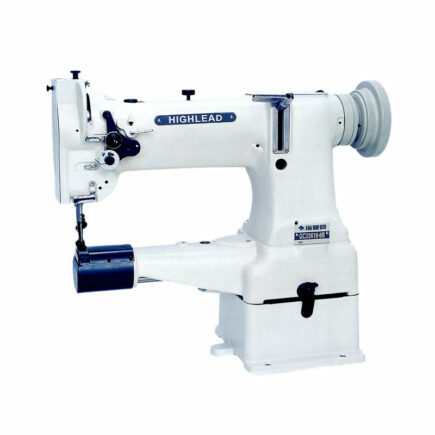 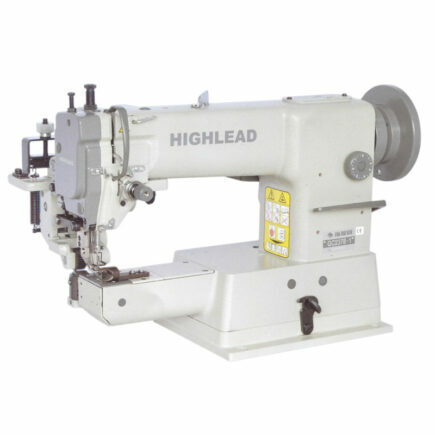 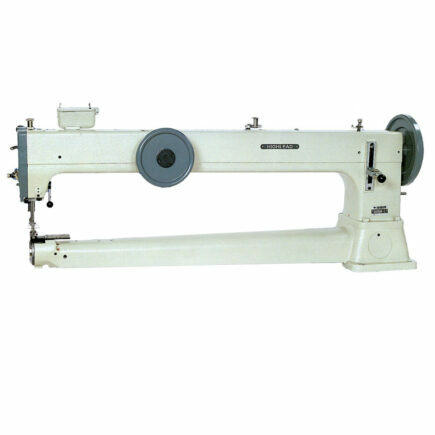 This compound feed cylinder arm heavy duty lockstitch machine is designed to sew multiple layers of heavy weight material. 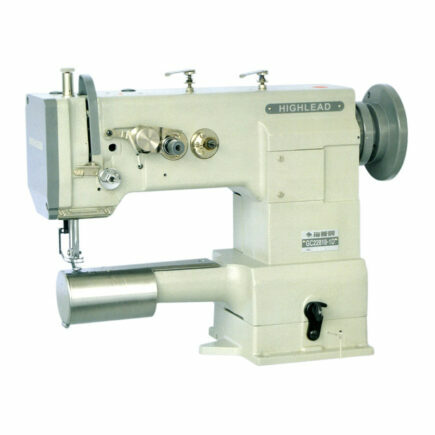 The Japanese made large shuttle hook and large bobbin capacity offer high efficiency and ease of operation. 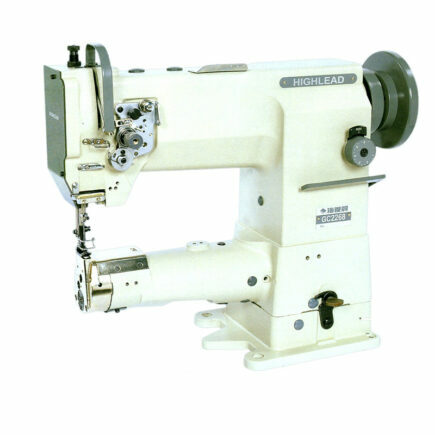 The bobbin winder is on the top of the head for easy access and the presser foot lift is adjustable up to 20 mm (.8 inches). 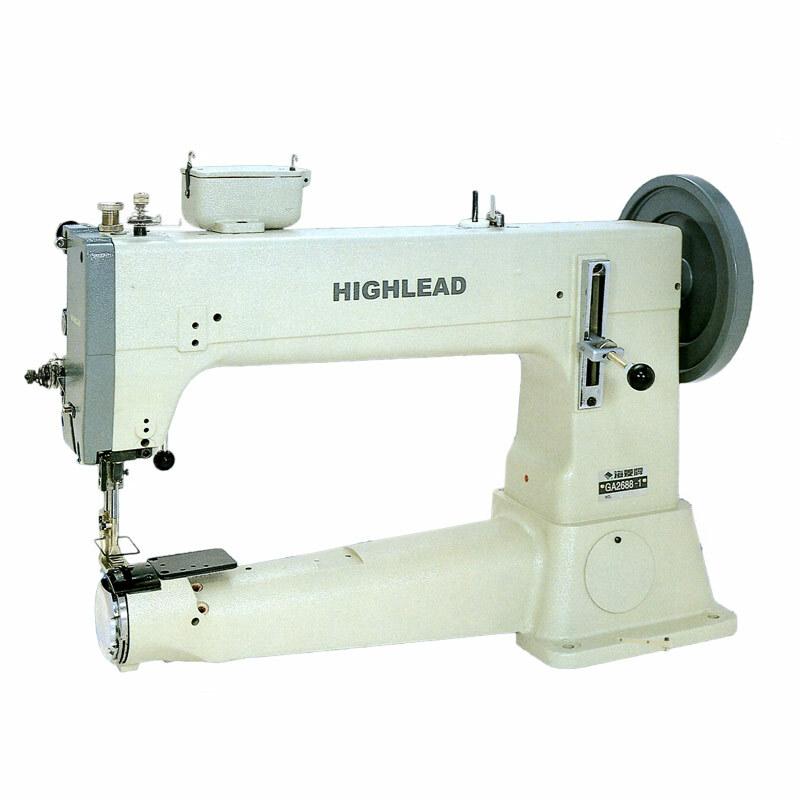 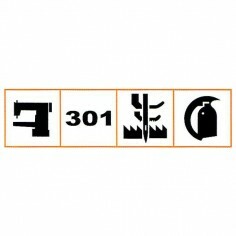 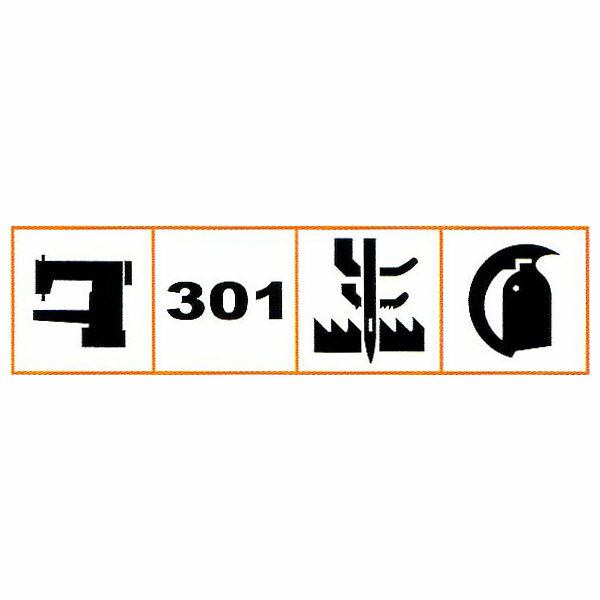 It can be used to stitch for example the handles of hand bags, baseball gloves, sports apparatus, safety bags, tents, seat cushions, cases and bags, and other items where extra heavy duty feeding is required. 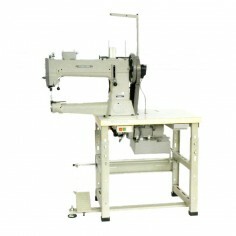 Max Sewing Speed 800 r.p.m.